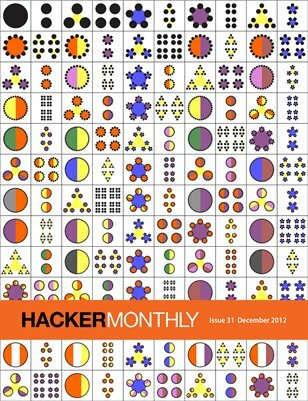 Our final issue of 2012 features Brent Yorgey’s beautiful factorization diagrams as our cover art. For startups, 25 entrepreneurs define the number one thing they wish they’d known before launching their first startup. On the programming end, there are articles about Bloom filters, homomorphic hashing, keeping programming journals and more. Lastly, don’t miss out on the Kindleberry Pi, hardware hackers.